HERE AT THEJOURNAL.IE, we like to bring you closer to the news. With our Explainers and FactChecks, we find out the facts and figures you need to know about the biggest stories people are talking about. 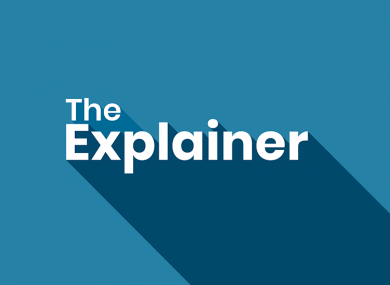 Now we want to bring you an even deeper dive into the news stories you’re reading, with our new podcast The Explainer. Hosted by our news editor Sinéad O’Carroll, The Explainer is a new weekly podcast from TheJournal.ie that takes a deeper look at one big news story you need to know about. What’s the background? Why is this in the news? Get the facts behind the story in The Explainer. For our first episode, we take a look at a big question for consumers: How will Brexit affect the food that you buy? In the week where the major decisions will be made about what Brexit will look like, our debut episode of The Explainer looks at your shopping basket to see what will happen to prices and supply in Ireland after 29 March. This episode presented by Sinéad O’Carroll, executive producer Christine Bohan, producer Aoife Barry, assistant producer/technical operator Nicky Ryan, contributing reporter Gráinne Ní Aodha. Design by Palash Somani. Email “Introducing our new podcast: The Explainer”. Feedback on “Introducing our new podcast: The Explainer”.